A keen sportsman for many years, I moved away from playing regular cricket and rugby to coaching my eldest son in different sports over 4 years ago and found a passion in this area. I have 2 children Jacob and Holly, who are also keen on their sports. I previously played cricket in the East Anglian Premier League for Ramsey and Hunts County cricket through to U19’s, I currently play at Upwood CC in Hunts Division 3. 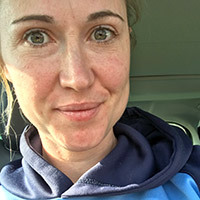 I am a level 2 qualified cricket coach and the Head Coach of Hunts County U11 Girls and joint Upwood CC U9 and U11 coach. I played rugby at St Ives RUFC captaining the 2nd XV for 3 years before playing for the 1st XV in Midlands Division 3 for 5 years . I am the current U9 coach at St Ives RUFC with a level 2 rugby badge, rugby ready and tag rugby qualifications and working towards additional badges. 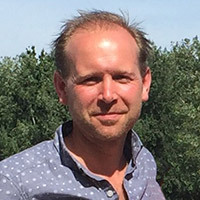 MD of Parallel UK, a farm-to-fork grower integrated import business supplying fresh fruit into mainstream retailers throughout the UK. Established the business in 2009, PUK has developed into a multi million pound a year operation and a market leading business of its kind in the industry. Being involved in running a company has given me a great deal of insight into many different aspects of business life and this, along with Tom’s knowledge and passion for coaching, I feel gives Oak Activities a solid and sustainable platform for many years to come. On a personal level I am very keen sportsman – Played [in my younger years!] Premier league Cricket in Norfolk for Stow Bardolph. 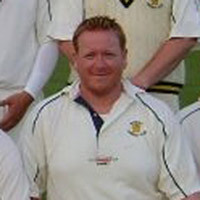 I currently play cricket for Upwood and have recently been made Chairman of Upwood cricket club. I also love spending time with my family and have 2 children, Annabelle and Darcie. I’m Alexa. I work as a sports coach for Oak Activities, I specialise in EYFS and Primary physical education. I am a qualified coach in many different sports and enjoy making fun sessions for all children to develop in. After completing my Sport Science degree at Sheffield Hallam in 2018 I was keen to continue my career in the sport industry. Outside of work you will most likely find me on the football pitch. This is my first year with Oak Activities and I am excited to see what our future together holds. 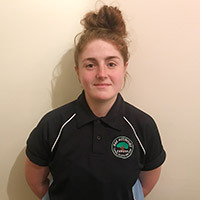 I’m Aimee, an instructor at Oak Activities and have been working for Oak since early 2019. I have always loved sports and being active and take part in various sports such as netball, kickboxing and running. I am a mother of two, a seven year old boy who always loves sports and takes part in many of my workouts and a 1 year old girl who has helped me develop my parent and baby workout class. 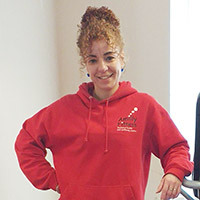 I have a diploma in health, fitness and weight loss and I am a level 3 chair based exercise instructor. I am keen to promote the importance of being active and happy to help anyway I can to help people Achieve their goals. Hey I’m Holly, Operations Assistant here at Oak Activities. I started with the company in 2017 and manage the accounts and marketing areas of the business. I have 10 years experience in accountancy and financial reporting from my previous employment at one of the top financial services organisations. You don’t get to where I am without loving a spreadsheet! I am married and I am a mother to 2 amazing little dudes who make life exciting and challenging at the same time, all the time! They are my world. We are an active family who like going for treks through the countryside and playing sports and so on, but it gives me a real buzz to see my children enjoying sports and activities too. My eldest son loved is time going to the weekend classes and really likes attending the Multi Sport Camps! Right now, it’s a really exciting time for Oak Activities and I’m lucky to be a part of it. I’m passionate about the work we do and the opportunities we offer to our clients, and love that our work is so diverse. We are always looking ahead and trying to find what activities we can offer to benefit our community. 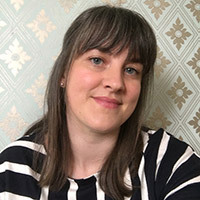 I’m Bekah, an instructor at Oak Activities since 2018.I specialise in dance classes – seated and standing, dance camps and workshops for all ages and abilities. My passion for dance started at the age of 3 and I’ve been dancing every since. I’m training in ballet, tap, modern, contemporary, ballroom and have a flare for street dancing too. I have been lucky to train with some incredible dancers and was even lucky to dance in London shows when I was younger (me and my girl, west side story and a variety show). 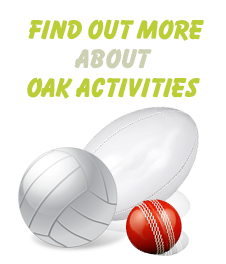 I have 3 children, my youngest regularly attends the holiday camps with Oak Activities and loved the weekend rugby and cricket classes – she has now joined one of the local cricket clubs! Hi my name is Samia and I have been in the fitness industry for 9 years. Fitness started as a passion and i then thought why not work doing what I love the most. So I qualified as a level 2 fitness instructor then pursued with level 3 Personal Trainer, Nutrition, sports massage, exercise to music, and zumba instructor. For the past year and a half, I’ve been running the Amilly Fitness gym for Oak Activities, a specialised fitness gym for adults with additional needs and health issues. From people who have had a stroke to those mental health issues. It brings me a smile when I see people who couldn’t move before because of their health issues, and now they’re doing much better, they keep fit and have fun. That’s why I wanted to work in the industry to make people feel better about themselves. Oak Activities truly believes that every young person is exceptional and wishes to ensure that each child has the opportunity to learn about themselves, specifically through sporting activities. This will be provided in a safe and comfortable environment so that each child can flourish in whichever way they require. It is not about finding the next Jonny Wilkinson or Stuart Broad, but about giving young people the tools to gain the courage, personal skills and friendships which create a strong community. At Oak Activities we are proud to be an all inclusive sports group where we work together to challenge, inspire and motivate all children to become successful, confident and caring people in our diverse world now and in their future lives. We work together to create a happy environment where all members of the club feel safe, can enjoy, achieve and make a positive contribution to the group and the wider community. We promote a culture where children are happy, believe that they can succeed, take responsibility for their learning, set targets for their own achievement and develop as independent learners.